Harlo! I'm back to update the Aud's wedding stories! Today is all about The wedding band. We really went to lots of places, going thorough piece by piece. We even did tons of online research, searching for that "one-piece". 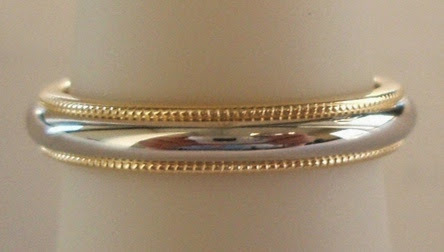 You can read about my ring hunting >>here<<. When we saw this on the net, we immediately fall in love with it, but we couldn't find one that is exactly the same nor could we find someone to custom made it for us. 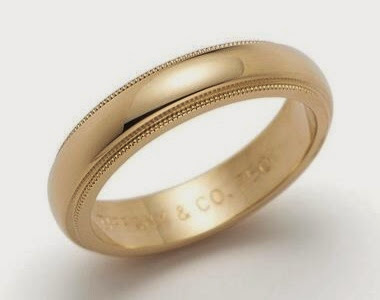 The only piece that has the closest design to the one above is Tiffany & co. This is 18k gold. But we don't feel like paying so much more just for the brand name. That's why we didn't get it immediately instead we continued the search. Until we found this piece from an Indian Jewelry shop near kareshi's house. We knew that at the end of the day if we really couldn't find someone to custom made the milgrain band for us, this will be our wedding band. Just when we were to decide on this, my friend Andruey told me that her friend- Damian from Franklyn Jewellery does custom-made rings. 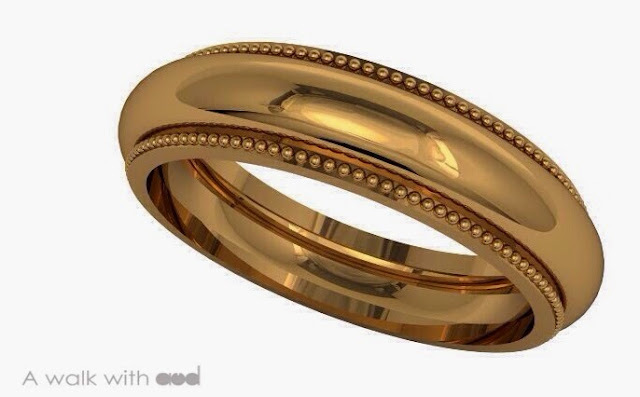 I contacted him for the milgrain bands, he said he could do exactly the same as shown in the photo! Wow! So happy! We went down to his shop, went through some discussions. Initially we wanted 22k yellow gold but he advices us to take 18k champagne gold as it is harder and the color tone complies to the skin tone more. After trying different sizing and width, we settle with 4mm size 13.5 for kareshi, and 3mm size 9 for me. The bands will be ready in a month. 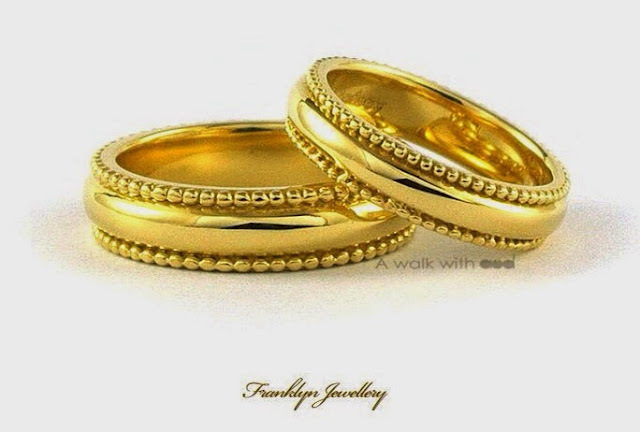 The reason why we decided to go for this but not the one from the Indian Jewelery is because of the confidence he gave us. He ensures that he can do it exactly the same as the photo shown. A month later, it's time to collect our ring! I was so excited but yet so worried with the end result of the bands. What if it's not the same? What if it does not look good? I basically arrived the shop with an unsettled heart. When he shows us the band, I was relieved. It looks good, and it looks really good on fingers! But honestly I was a little disappointed. Maybe I had too high expectations. It looks similar but not really exactly the same. The beads are bigger and on closer look, a few beads are sorta squarish. Damien did asked if we want the beads to be big, we requested to be the same as the photo. But on the end product it seems to be bigger than photo. As for the size, mine fits perfectly but kareshi's is kinda tight. I wonder why. Maybe it's because of the weather. If you are searching for rings too, do take note on the time you are going for ring test. It does affect the sizing. I've talked to Damien, so we will send the bands back for resize after our ROM. Other than that, I actually like it. Although there are some minor imperfections on the ring but it is the imperfections that makes it unique. 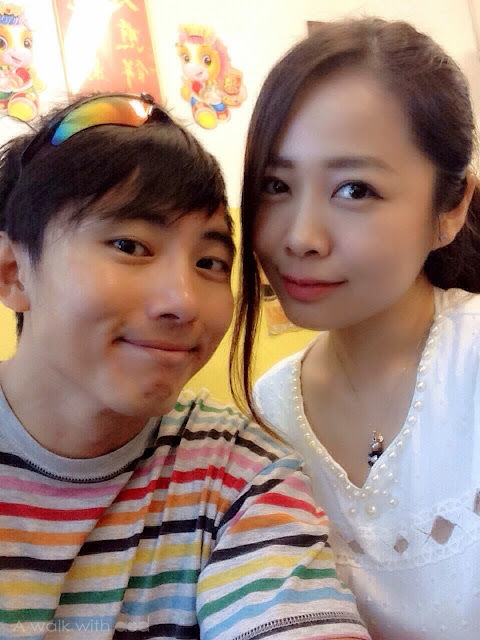 Just like the two of us, two imperfect individual comes together to create our own perfection. 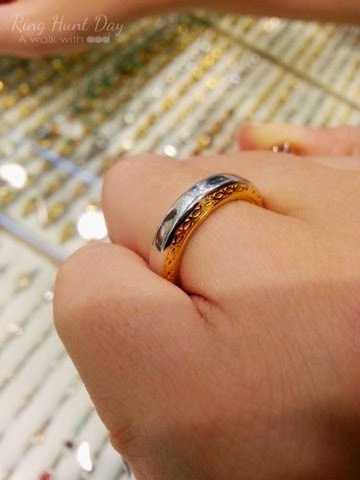 I believe that our wedding band is like a reminder, reminds us that in this world no one is perfect. It is only perfect if we learn how to embrace each other's imperfections. To be understanding, to give and take, to cherish and be grateful. Together, we will create a brand new future.